This week, I'm going to share four more layouts I made with the Webster's Pages "Nest" collection pack (12 patterned papers and 3 vellum sheets). I shared a couple last week, so in total, I was able to make 6 layered layouts and 13 cards. I only have a few itty bitty scraps left, and I did have to supplements with several sheets of cardstock - I used BoBunny double dot cardstock. 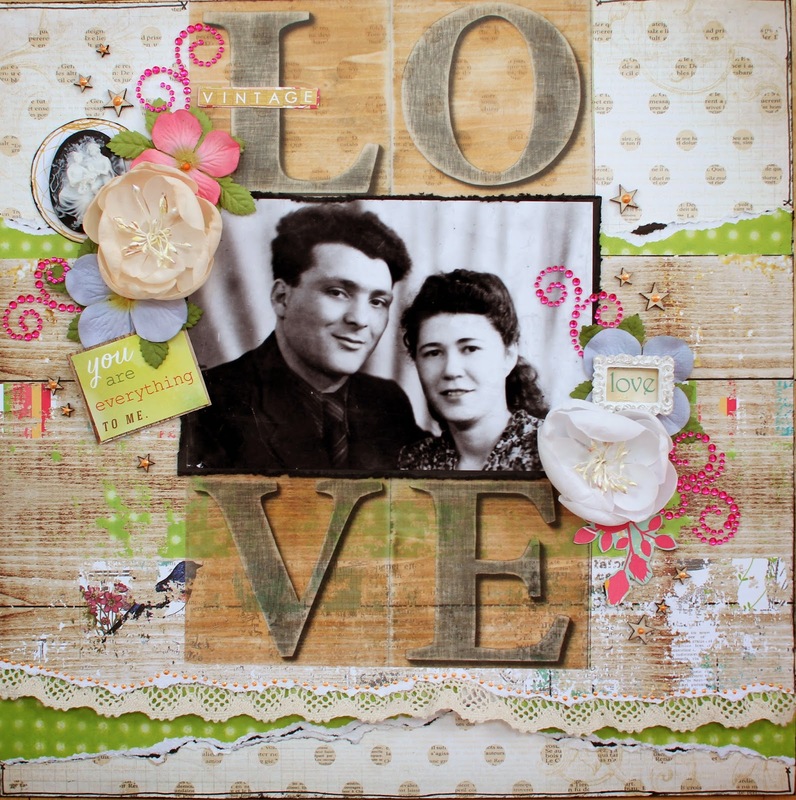 This layout is about my grandparents (my mom's parents). The paper was perfect for a vintage feel. I added some Studio Calico wood stars, Prima flowers and bling, lace, cameo, Melissa Frances resin frame, and Xyron machine to adhere the vellum. Staples, stitching, and Xyron are the best ways to adhere it without the adhesive showing.